– By selecting customer from drop-down, it shows the report of that particular customer. 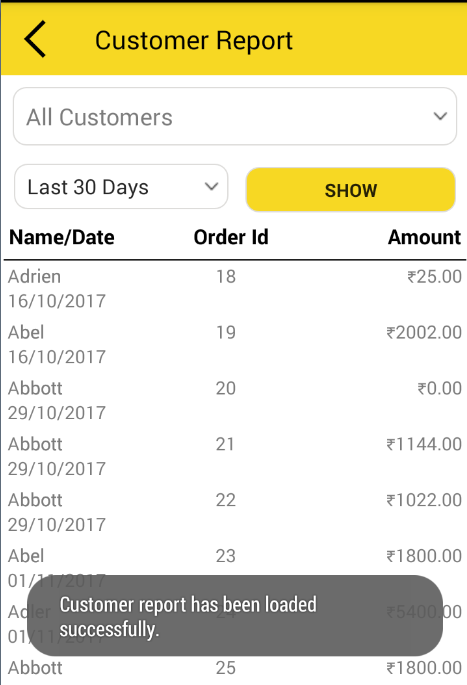 – If user want to see the all customers report then select all customers from drop-down. -using date filter you can see customer report for today, yesterday etc. 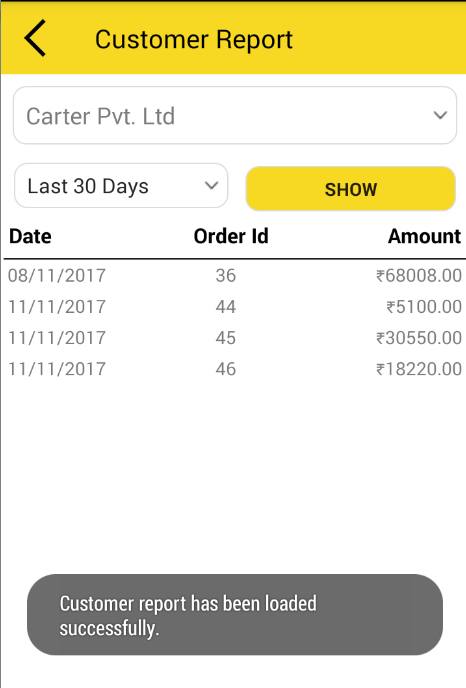 and using custom date in date filter you can see customer report from date – to date.